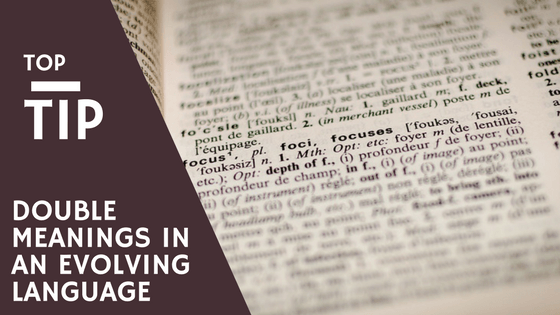 The English is a forever evolving language, like many others in the world, with around 4,000 new words added each year to the Oxford English dictionary alone! This new words included updated meanings which can at times confuse what could have been a simple message. Bad – Now can also be used as synonym of itself. Hard – Does not just describe the strength of something or density of an object but can be used when describing a person’s false sense of strength. Bottle – A liquid container that now also appears to describe the state in which a person becomes upon partaking of the contents of the bottle. Animals and food have also had their names misused in the more recent generations of language. If you are an individual looking to approach a professional body either for a job or to offer a service then double check the words you are using do not have double meanings. With it becoming harder and harder to earn positions and look the best out of a constantly growing crowd of individuals in the same position something as simple as using the correct and upmost professional language can work miracles. If you are applying for a job or designing marketing materials and want to the work checked for appropriateness then give us a shout today.